Ever wonder how to get plywood to the roof when you are working by yourself? How about making sure your concrete stakes don’t become a permanent member of your concrete foundation? There are always little tricks of the trade that make the job easier. Many of them are made up on site out of necessity and others are passed down from builder to builder. 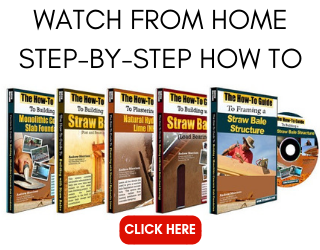 Here’s some tips for getting plywood to your roof and other tricks as well. Let’s start with how to get plywood to the roof. There are a few ways to get plywood to the roof by yourself. The first is for low roofs only. You can build a jack stand for the plywood. Now I’m no artist, but I’ve given you a sketch of what I am talking about since it sounds crazy when I try to describe it without the picture. It is a simple design, so don’t let my description fool you. Take two 2x4s long enough to extend above the roof line by about 2′. Attach another section of 2×4 across them to hold them together at a height that will allow you to stack the plywood on it so that the top of the plywood sticks up above the top of the jack stand at the roof line. (Is that a run on sentence?) Now add an angled piece from one long section to the other just below the horizontal 2×4 to brace the whole assembly and stop it from racking. Add a 2×6 on the flat to the horizontal 2×4 and firmly secure it to the 2×4 so that it gives you enough room to stack your plywood. 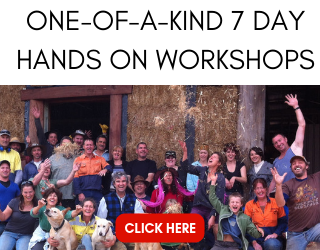 Now you can stack your plywood from the ground and pull it up from the roof. Simple. Be sure to lean the assembly like you would a ladder. It should not be straight up and down as that risks tipping over. You can also secure it to the fascia with a few screws so it doesn’t go anywhere unexpectedly. Finally, don’t stack more plywood than you can use in one sitting as wind can grab the sheets and send them flying if you are not around to keep an eye on them. Another way to accomplish the difficult and sometimes dangerous job of getting plywood to the roof is to carry it up a ladder. Sounds nuts, right? It is unless you utilize a simple tool: a C-clamp. Place the C-clamp on the top of the plywood and clamp it down. Now the sheet has a handle. That one is so simple I am not even going to give you a drawing for it! This is a great option for only a few sheets that need to go up in the air, but I would not want to do a whole roof like that. That is a lot of weight and struggle for not a whole lot of time or money saved. The easiest way, although not a trick of the trade, is to have the lumber yard deliver the plywood to the roof with a boom truck. 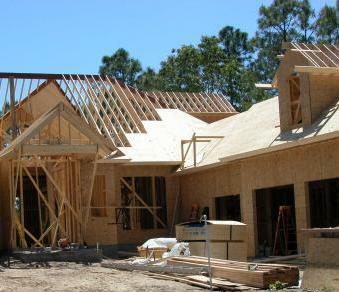 The key here is to have your roof fully braced and able to handle the load. Make sure you distribute the load well too if it is a big roof. Build braced acceptors of 2×4 that will act as tables for the plywood. These should be secured to the roof and allow for the forks of the boom to slide out once the plywood has been placed. They should, of course, be built with a level top surface so the plywood does not slide once placed. Check out the example just to the left of the dormer, near the roof valley, in the above photo. In terms of the concrete stake idea, well you’ll just have to wait on that one! Very interesting and informative site. 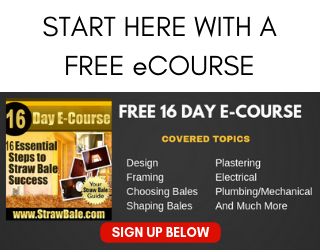 As I have always been interested in strawbale construction but I think I will have to stay with plans to build a semi strawbale house as I can’t afford strawballs. If the 2x4s in the article were mounted at an angle, say 60 degrees, the C clamp and a short length of rope would allow you to slide the sheets up onto the roof from the ground. Then you would not have to lean over at the edge of the roof, avoiding the falling and back injury risks or having to lift the sheet up a ladder. 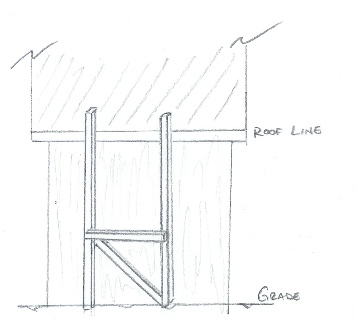 A short 2×4 nailed horizontally on the roof would also give you something to brace against as you pull up the sheets. Great tip David. Thanks for taking it to the next level!